Liv Solveig is a German-Norwegian singer-songwriter who writes, arranges, conducts and plays her own songs solo or with her band. After a journey involving classical violin studies in Germany and vocal jazz studies in New York, the multi-instrumentalist has arrived in her own complex and diverse musical “homeland”. 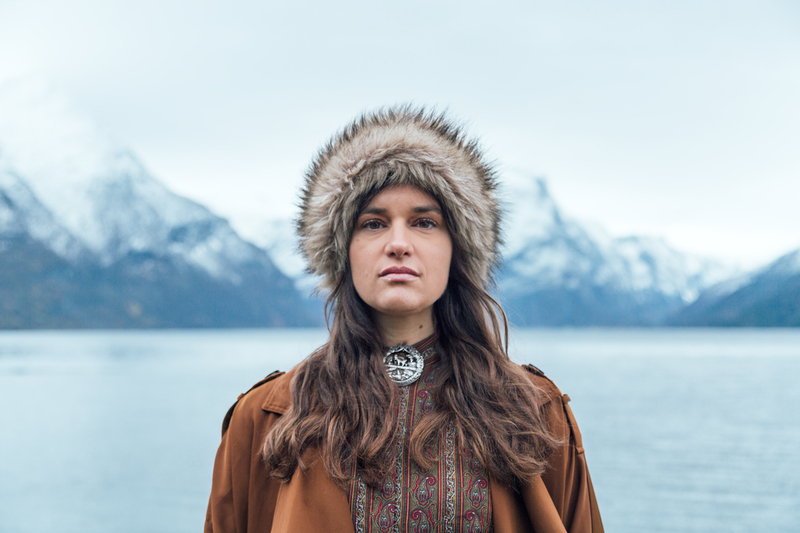 Liv Solveig’s international background and nomadic lifestyle are reflected in her music – atmospheric and powerful sounds are complimented by soulful acoustic guitar lines. On stage Liv becomes an orchestra herself. Her live performance is as spectacular as it is unique. The musician fabricates surprising, unusual sounds in the seemingly effortless interaction between her loop station and her bandmates. In her latest songs, she experiments with indie pop sounds and a strong Scandinavian and symphonic touch. Having released her debut album “Build my own world“ in 2014, she is at present working on her second album planned for release in autumn 2018. Liv Solveig currently lives in Berlin. Datenschutzerklärung erstellt mit dem interaktiven Muster für die Datenschutzerklärung von 123recht.de– Rechtsberatung online.